The perfect way to make sure you’re getting all the nutrients you need, even if you’re controlling your calorie intake — being on a weight-loss journey doesn’t mean you should lose important essentials or cut flavour from your diet. 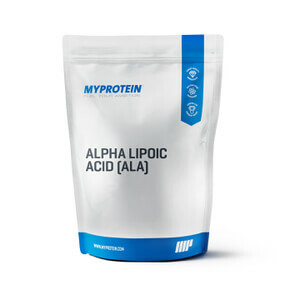 With over 18g of protein per serving, it’ll help you grow and maintain important muscle,1 which is vital for losing weight and toning up. Plus, it gives you a selection of essential vitamins and minerals, alongside the dietary fibre inulin — at only 200 calories per serving. This makes it the ideal shake to support your general wellbeing and immune system,2 which will help you to keep giving your all to training. 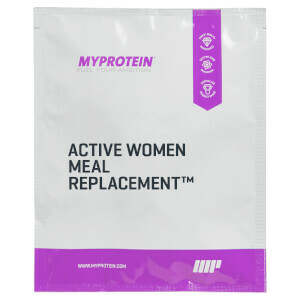 When to take Meal Replacement Blend? It’s a convenient, cost-effective way to make sure you’re getting all the nutrients your body needs, without taking on extra calories — perfect any time of day. 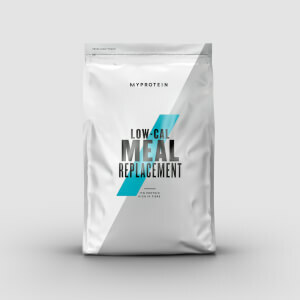 What does Meal Replacement Blend work well with? To help you get closer to your fitness goals, try with our Diet Aid capsules, which have been specifically formulated with vitamins, minerals and natural energisers to help kick-start your workout. For allergens, see ingredients listed in bold. Made in a facility that also handles Egg and products thereof. Chocolate Truffle flavour: Skimmed Milk Powder (40%), Whey Protein Concentrate (12%) (Contains Milk and Soy), Fat Concentrated Powder (11%) (Refined Soy Bean Oil, Maltodextrin, Milk Proteins), Soy Protein (10%), Creamer Concentrated Powder (8%) (Refined Coconut Oil, Whey Powder (Milk), Milk Protein), Flavouring (Cocoa Powder, Sweetener (Sucralose), Natural Flavouring), Maltodextrin, Inulin, Tripotassium Citrate, Thickener (Xanthan Gum), Acetyl L Carnitine, Di Potassium Phosphate, Calcium Chloride, Vitamin and Mineral Premix (Folic Acid, Vitamin C, Niacin, Iron, Vitamin E, Zinc, Pantothenic Acid, Fluoride, Manganese, Vitamin B6, Vitamin B2, Vitamin B1, Copper, Vitamin A, Iodine, Vitamin K, Selenium, Molybdenum, Biotin, Chromium, Vitamin D, Vitamin B12), Magnesium Oxide, Sodium Chloride. Strawberry Shortcake flavour: Skimmed Milk Powder (41%), Whey Protein Concentrate (11%) (Contains Milk and Soy), Fat Concentrated Powder (11%) (Refined Soy Bean Oil, Maltodextrin, Milk Proteins), Soy Protein (10%), Creamer Concentrated Powder (8%)(Refined Coconut Oil, Whey Powder (Milk), Milk Protein), Maltodextrin, Flavouring (Beetroot Juice Powder, Sweetener (Sucralose), Natural Flavouring), Inulin, Tripotassium Citrate, Thickener (Xanthan Gum), Acetyl L Carnitine, Di Potassium Phosphate, Sodium Chloride, Calcium Chloride Dihydrate, Vitamin and Mineral Premix (Folic Acid, Vitamin C, Niacin, Iron, Vitamin E, Zinc, Pantothenic Acid, Fluoride, Manganese, Vitamin B6, Vitamin B2, Vitamin B1, Copper, Vitamin A, Iodine, Vitamin K, Selenium, Molybdenum, Biotin, Chromium, Vitamin D, Vitamin B12), Magnesium Oxide. 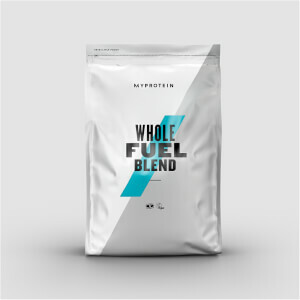 Velvet Vanilla flavour: Skimmed Milk Powder (41%), Whey Protein Concentrate (11%) (Contains Milk and Soy), Fat Concentrated Powder (11%) (Refined Soy Bean Oil, Maltodextrin, Milk Proteins), Soy Protein (11%), Creamer Concentrated Powder (8%)(Refined Coconut Oil, Whey Powder (Milk), Milk Protein), Maltodextrin, Inulin, Flavouring (Natural Flavouring, Sweetener (Sucralose)), Tripotassium Citrate, Thickener (Xanthan Gum), Acetyl L Carnitine, Di Potassium Phosphate, Sodium Chloride, Calcium Chloride Dihydrate, Vitamin and Mineral Premix (Folic Acid, Vitamin C, Niacin, Iron, Vitamin E, Zinc, Pantothenic Acid, Fluoride, Manganese, Vitamin B6, Vitamin B2, Vitamin B1, Copper, Vitamin A, Iodine, Vitamin K, Selenium, Molybdenum, Biotin, Chromium, Vitamin D, Vitamin B12), Magnesium Oxide. I really love this, I got the chocolate, it tastes delicious! I’m still a bit hungry after having it but I just need my stomach to adjust like any dietary changes. I make it with half skim milk and half water and tons of ice and put in the blender for a second and make a slushy. At the Moment I am replacing lunch with it, so I plan to replace breakfast and lunch. I have used all 3 flavours, the vanilla, strawberry and chocolate. Chocolate is too sweet for my taste and has a slight artificial sweetener aftertaste, Strawberry is also too sweet with no aftertaste but the Vanilla, well what can I say. This stuff is amazing. I have to be honest, I am a bone idle couch potato. My job is classified "sedentary" so no exercise is happening. However I have been replacing breakfast and lunch thru the week and eating normally in the evening and weekends. I have been doing this since October last year - read 4 months - and have dropped from a 22 to an 18. No effort required. I still love the taste and have no intention of stopping using this for a while yet. Never hungry, which is weird for me, so very easy to keep on using. I have got 2 others using this now. They saw me slimming down, not being grumpy while doing it, and keeping on keeping on with no effort and wanted to know my secret. So both are now hooked like me and doing impressions of the amazing shrinking woman also. The strawberry shortcake tastes really great and blends really well. It may be too sweet for some people but it is fine for me. Meal replacement contains all the essential ingredients and keeps me full. Does the job and would buy again.